Refurbished test equipment, what does it mean? How we refurbish our test equipment. 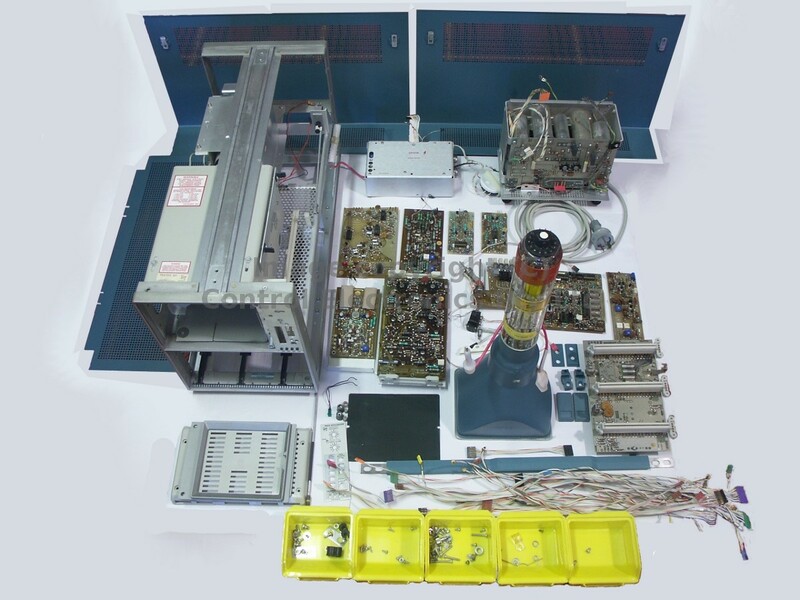 There is considerable difference between the various suppliers of used or refurbished test equipment. So that buyers can be certain what they are getting when we say refurbished, we explain the process below. Equipment is first disassembled, (all circuit boards or modules are removed). The entire chassis and case is then washed. PCB's will also be washed unless they are already very clean or the manufacturer recommends against it. PC boards then spend an hour in a hot air oven to thoroughly dry them out. All labels and markings not applied by the manufacturer (asset numbers and labels, permanent marker names etc, expired calibration stickers) are removed. This is an issue that requires care and experience to remove everything without damaging the case. 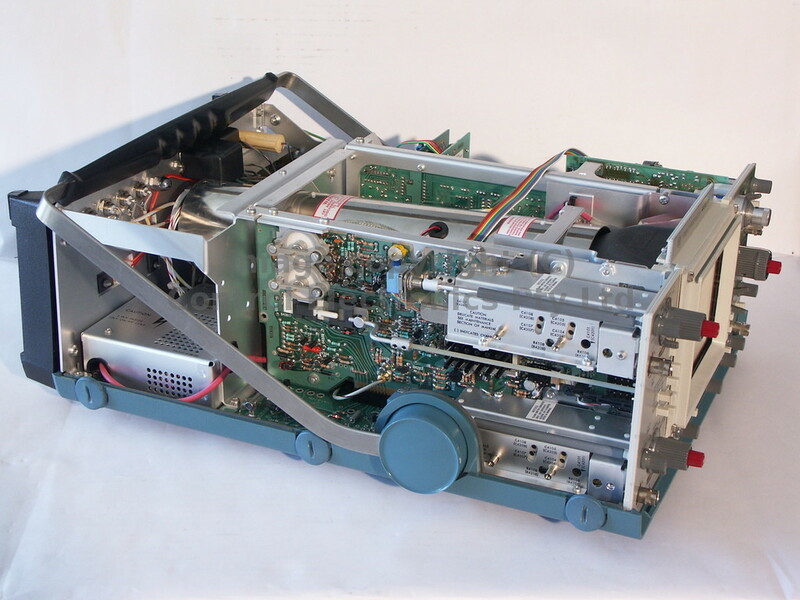 Here a Tektronix 7603 is laid out ready to be re-assembled. Then damaged, missing or broken mechanical parts will be replaced or repaired if a replacement is not available. If a lasting repair is not possible the part will be manufactured. Difficult to replace mechanical items will be made in our machine shop. Unobtainable IC's and electronic modules will be re manufactured using modern components. Painted cases will be resprayed where necessary. Circuit board assemblies will then be repaired as necessary. Switch mode power supplies will almost always have their electrolytic capacitors replaced. Memory backup batteries or capacitors will be checked and replaced where necessary. Switches and pots will be cleaned and lubricated. Program EPROMS will be re-burned where we have a later version available. The equipment is then assembled and a full manufacturers calibration is performed. This confirms that everything works and the equipment meets it's original specifications. The item is then left running for at least 20 hours as a final check. 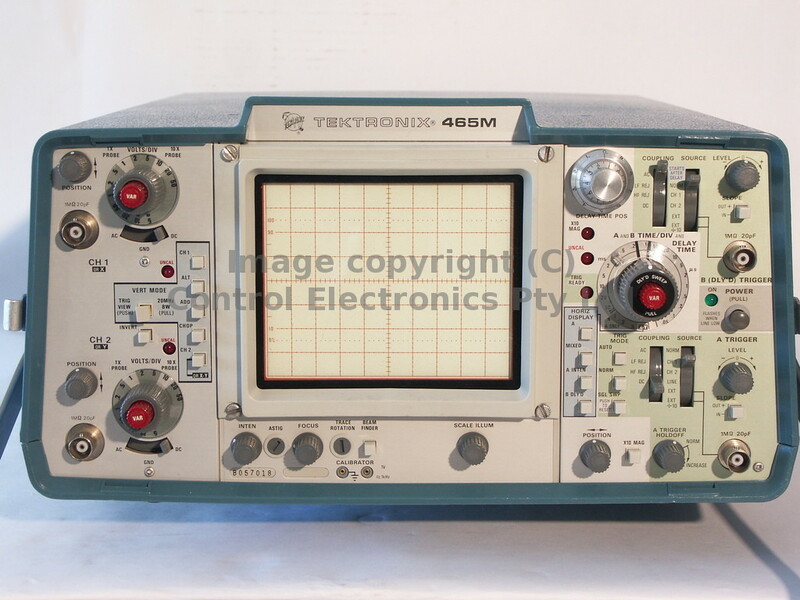 A Tektronix 465M refurbished and calibrated. All text and images copyright Control Electronics Pty Ltd.